constituents, without having to account to any political party, or look over my shoulder at the competing interests of party colleagues. My track record shows I will always put my Electorate first. A native of the Parish of Tarmonbarry Scramogue in County Roscommon, I have been serving the people of County Roscommon and the Strokestown Electoral area since being first elected as a County Councillor in 1991. I was a pole topper In 1999 and 2009. In 2000/2001, 2006/2007 and 2012/2013 I was elected and served as Mayor of County Roscommon and Chairman of Roscommon County Council. I am the current Chairman of the West of Ireland Regional Authority, representing Galway City and County and Counties Mayo & Roscommon. 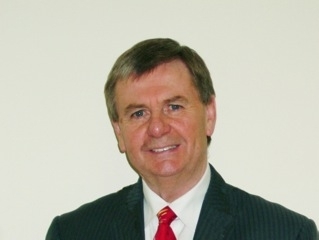 I am also the current Chairman of Roscommon Heritage Council and Chairman of the Joint Policing Authority and the former Chairman of Failte Ireland West, The Border Midlands & Western Authority and County Roscommon Vocational Educational Committee. I also serve on a number of other Community Groups including Community & Text Alert, Secretary of Tidy Towns, Member of the Board of Management of Elphin Community College and others. I have been involved in the Tourist business most of my working life including been proprietor of Crosby’s Public House, Restaurant and Board Failte approved accommodation situated in my native area, Tarmonbarry Village. My wife Pauline McDermott is a native of Strokestown, Co. Roscommon. We have two daughters; Vicky, who is the proprietor of TaxAssist Accountant with offices in Roscommon and Longford and Pearl, who is a Medical Scientist living in Dublin. As one of the most experienced Public Representatives in County Roscommon one of my ambitions is to make County Roscommon a major tourist destination and create much needed employment.